Finding creative ways to get around compatibility issues can be fun and rewarding…assuming it works. When I initially tried out a Shimergo setup (as mentioned in my last post) it worked, and I was happy. 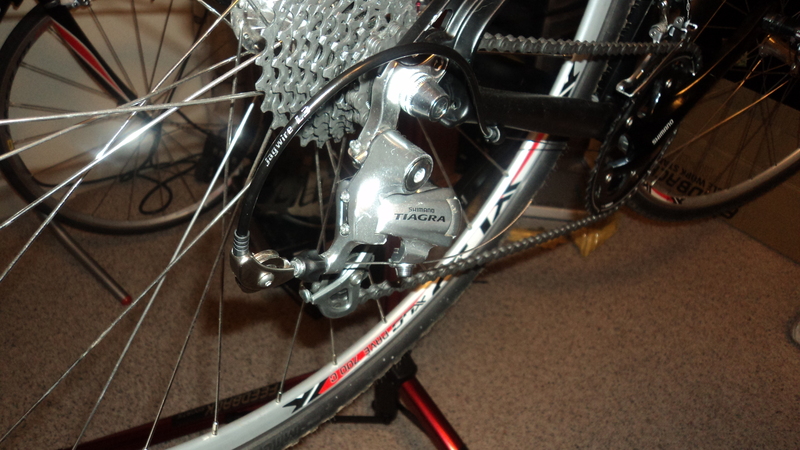 But then it became a hassle whenever I needed to adjust the rear derailleur due to using an unconventional cable routing. The rear shift cable also looked like it was taking a bit of a beating after just a few longer rides, and sometimes the cable slipped out of the rear derailleur clamp. The “quirks” of my Shimergo setup were beginning to drive me crazy. 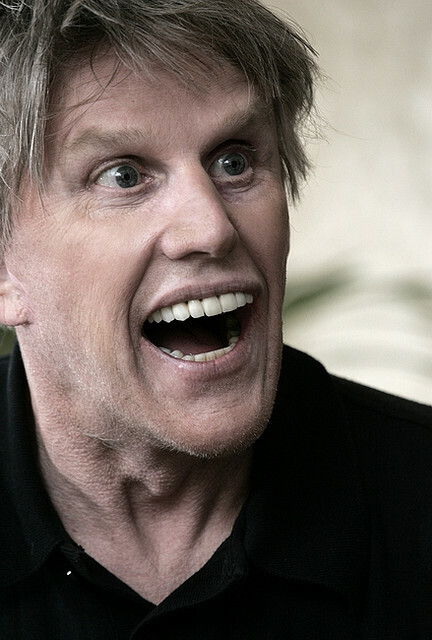 Trying to use the Hubbub technique was making me feel like this guy! I loved being able to use Campagnolo shifters while retaining the rest of my Shimano parts. For one, it was cheaper to just replace the shifters, since that was the only thing I was unhappy with. All of my other components were in good shape, and I could keep them. 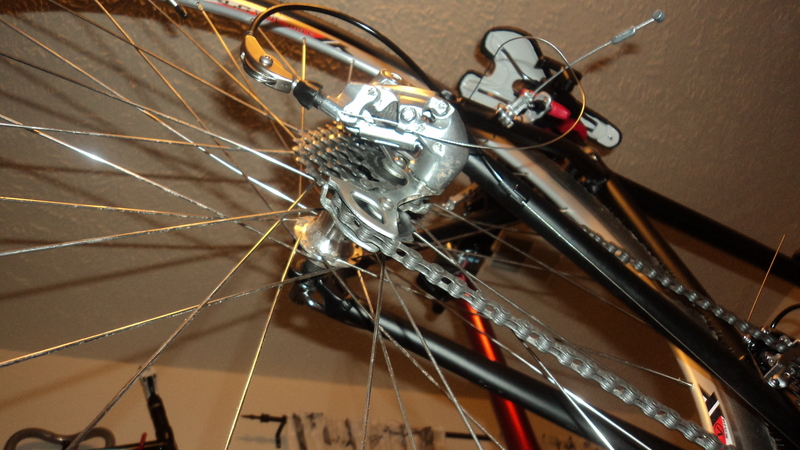 Another advantage of the Shimergo setup is that Shimano drivetrain parts (cassettes, chains, derailleurs, etc.) are generally cheaper and easier to find than Campagnolo parts, so as parts wear out they are easier to get a hold of and replace. Campagnolo shifters, on the other hand, can be found for less than Shimano’s STI shifters. It might be more annoying to find Campy shifters, but shifters generally don’t have to be replaced often, and they can be found for about half the price of Shimano shifters if you don’t mind buying online. I also prefer the hood shape and aesthetics (hidden cable housing) of Campy shifters over Shimano’s exposed cable levers. So, overall a lot of pros in my book for Campy levers, and I was enjoying using them, but I hated using the Hubbub technique of routing the cable. Then the Jtek ShiftMate came into my life. I don’t really remember how I came across Jtek’s product, but I’m sure Google probably had something to do with it. Either way, I read their product description and was interested. The ShiftMate basically utilizes a small pulley between the rear derailleur cable housing and the rear derailleur itself to change the cable pull and make Campy shifters compatible with Shimano cassettes. Jtek also sell different pulleys that can be used to make a variety of Campagnolo, Shimano, and Sram components work together in many combinations. Reading the directions is essential to get the ShiftMate to work. Depending on the components you’re trying to match up, the pulley will have to be flipped (which is very simple) or the cable routing through the ShiftMate will differ. Jtek provided a clear listing of how to do so in order to get different setups to work, which was very helpful. Admittedly, setting up the ShiftMate for the first time can be a bit annoying. You have to string the cable through one of two grooves in the pulley, and there is a flat section in the pulley where you must cross the cable over to the other groove. It takes a bit of dexterity until you get used to it. Kind of hard to see, but this is the flat portion of the pulley. Routing the cable takes some practice, but isn’t that difficult to figure out. Then you thread the cable out of a hole in the end of the ShiftMate, through an included metal sleeve which sits in the derailleur’s barrel adjuster. 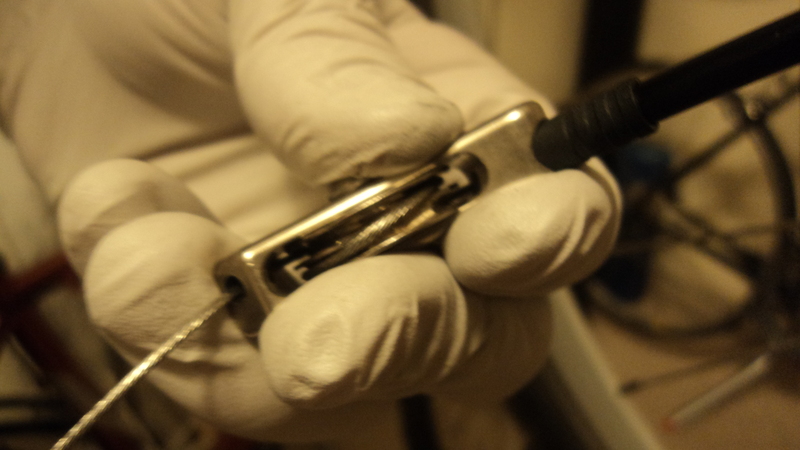 The previously-mentioned flat section of the pulley is supposed to face up toward the empty slot in the ShiftMate’s main body, which is hard to keep facing up as you thread the cable through because it wants to spin. Initially this was a source of frustration for me, but I realized that it can just be re-spun into place after clamping the cable in the derailleur. Once you have threaded the cable through the ShiftMate, just make sure to pull the cable through tightly and clamp it into the derailleur, as usual. After that, it is just a matter of normally adjusting the rear derailleur like you would to install any other more conventional setup. After routing the cable through the ShiftMate, just hook it up to the derailleur, as usual. Now I know I probably made it sound like setting up the ShiftMate is difficult, and probably more annoying than the Hubbub technique, but after doing it once and understanding the process, it becomes easy. After a couple of re-cablings it became so easy that it now only adds a few seconds to the process of changing cables. The Hubbub cable routing technique – Due to the cable being bent and clamped around the derailleur, it is annoying to setup and more stress is placed on the side of the cable that rubs against the derailleur. 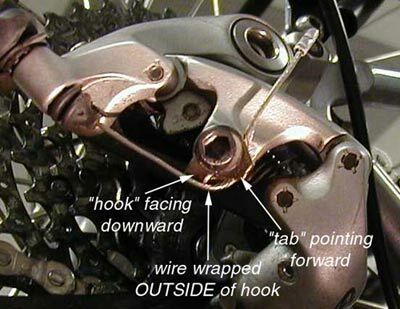 The Hubbub technique was always annoying to setup and often needed recalibration due to cable slippage resulting from incorrectly using the Shimano cable clamp. The first time installing the ShiftMate was annoying, but it was worth learning how to do it. The shifting is very smooth and I have not had any problems with shifting on the cassette. None at all. And since the cable is clamped into the Shimano rear derailleur in a conventional manner, I have not had any issues with cables coming loose or getting prematurely warn out. The ShiftMate itself seems to be easy on the cable, as well, since the cable smoothly wraps around the pulley and there are no sharp edges or strange bends that could damage it. 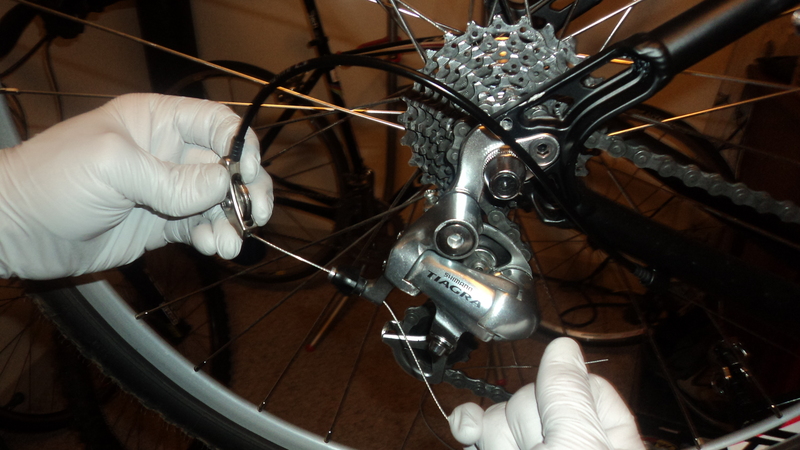 Thanks to the ShiftMate I can just use the derailleur normal, making clamping the cable and adjustment much easier. There are also no sudden bends for the cable to contend with, which seems to make the setup more reliable. So for anyone out there that wants to run a mix of components, for whatever reason, I would definitely recommend the ShiftMate. I often forget it is even there, which means that it is doing its job with no problems. You can run one while mixing parts from the three major drivetrain manufacturers (Shimano, Sram, Campagnolo) so you can mix and match like people could in the “old” days and use the parts that suit you. Here is what the ShiftMate looks like on the bike after the installation. 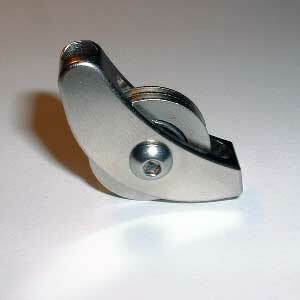 From here it is just a matter of a slight turn of the barrel adjuster to get smooth, crisp shifting! My next post will be more conventional, and probably useful to a broader audience, but I hope that I was able to convince some readers to see that conventional isn’t the only way to go when it comes to bikes. Hey superkate, make it your next mission! I know a super awesome female mechanic doing classes in London, UK. Or, do what I did and buy a beaten up old cheapo bike. Take it apart and look at all the components and then build it up with new bits. I started on a fixie and then a road bike, then a touring bike. Currently my grey area is mountain bike hydraulics and wheel building although I can measure up for parts and true a wheel without much bother! I started learning how to work on bikes by working on an old beater bike and eventually making it a nicely riding bike. I think it is better to go that route, rather than tinkering with an expensive bike, so mistakes aren’t so bad and expensive. I think another problem that was hard to wrap my mind around is all of the different standards and specs that you run into when getting into the mechanical side of bikes. Yeah, I think you have to do a bit of riding, then revisit and re-evaluate when you start looking at all the specs. I was lucky as I was living with a mechanic and a frame builder when I was learning the basics. This is actually one of my goals for the next few years. I have some big bike plans in the future, so I’m going to need to be able to do some troubleshooting, maintenance, and basic repair-type things. I would love to learn how to build frames. Building up a bike using a frame I built would be great. And I always have big bike plans…now if only I could win the lottery so my finances could keep up with my plans!